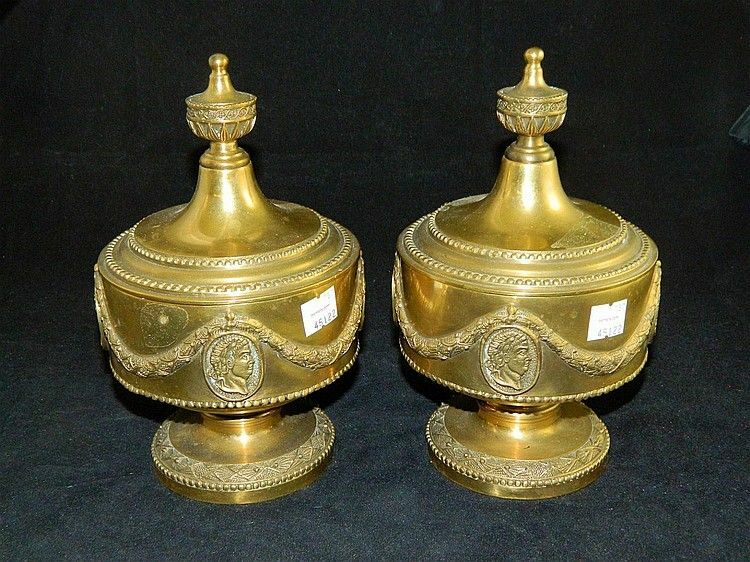 Antique pair of bronze garniture urns. 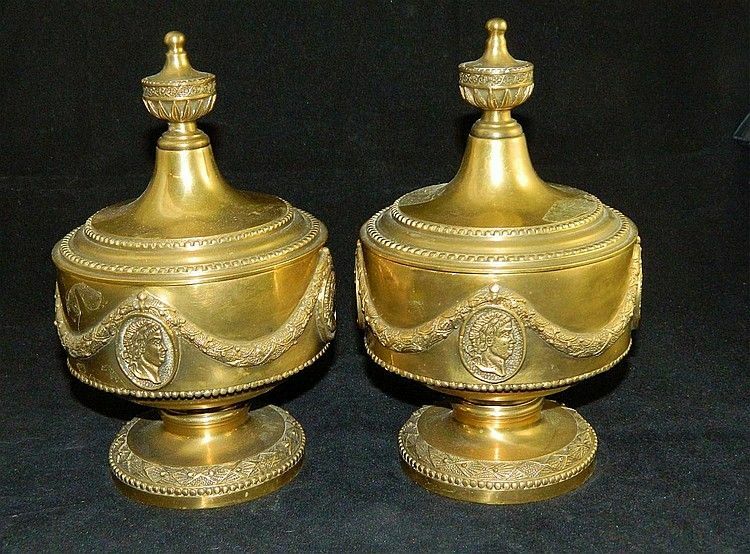 The urns measure 8 1/2" tall with a 5" diameter. The urns are quite heavy. 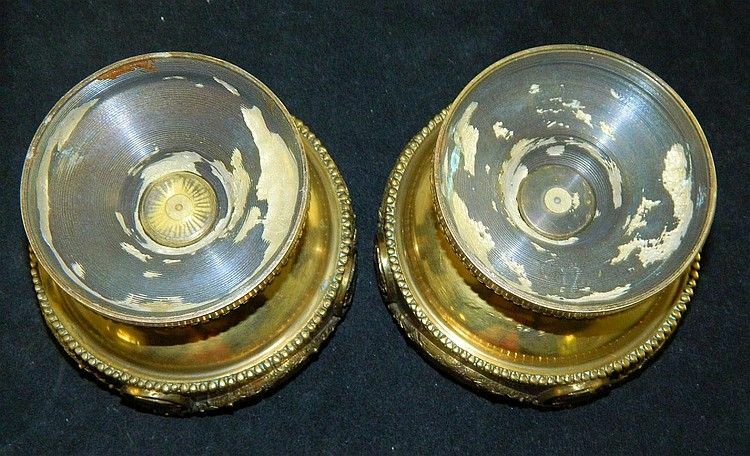 The pair are embellished by 4 classical roman medallions roped by floral festoons. 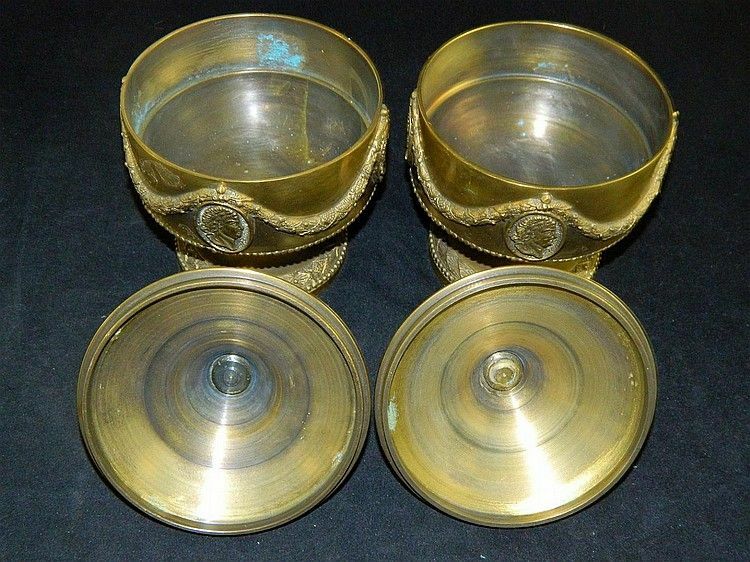 The lids remove and the bases could be used for candles. The urns would also make good funerary urns. We date the garniture circa 1880-1900.